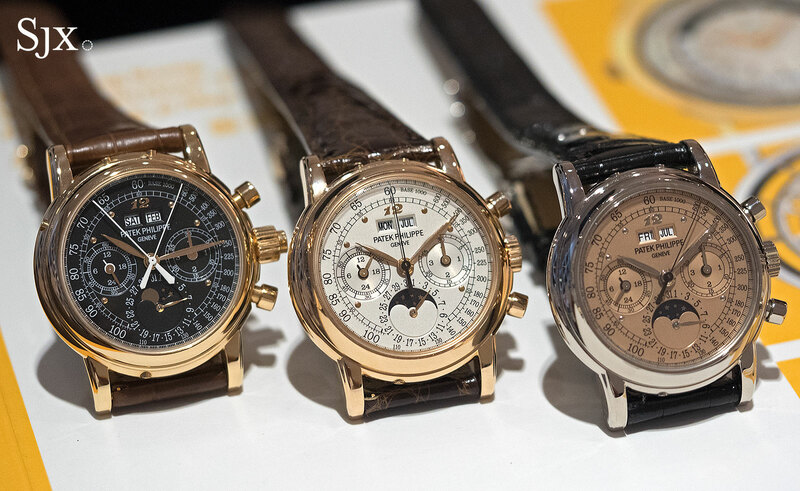 A trio of Patek Philippe chronographs made for the 18-time Grammy Award winner that will soon go under the hammer at Phillips Hong Kong. A well known watch collector whose ownership adds significant cachet to a timepiece, Eric Clapton has never spoken publicly about his watch collection. But several of the musician’s watches have come up for sale in recent years, indicating he is fond of Rolex and Patek Philippe. 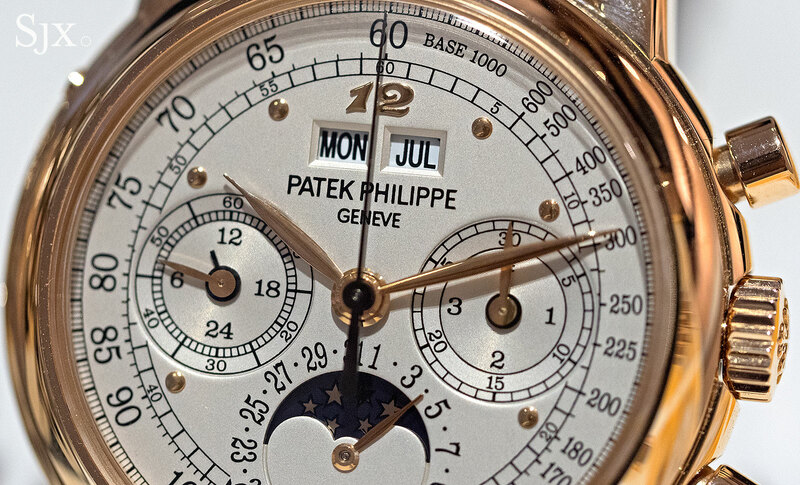 Several of Clapton’s Patek Philippe watches that have come to market featured custom-made, featuring one of a kind dials, including the platinum ref. 5004P Phillips sold in May 2016 for over US$800,000. 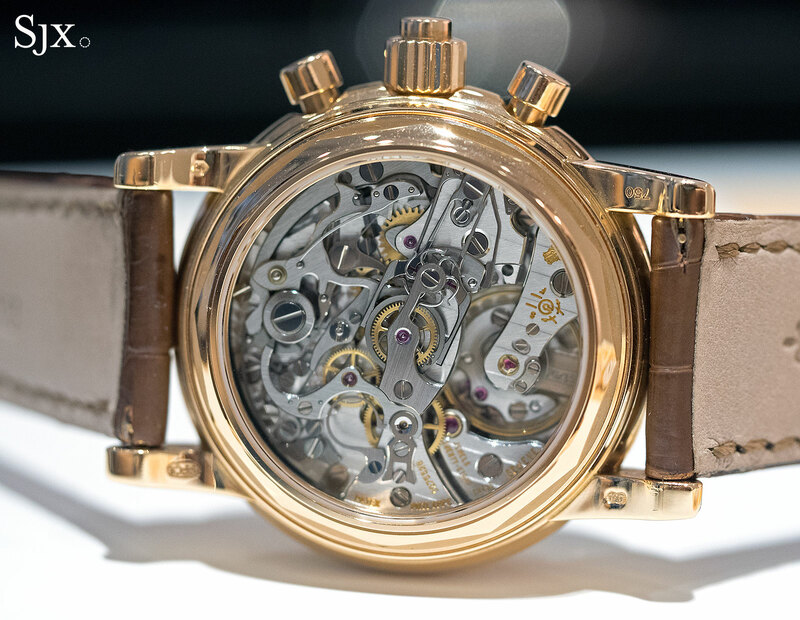 Three more of Clapton’s former watches are up for sale at Phillips’ upcoming Hong Kong sale, all fitted with similar dials with a Breguet “12” and spherical hour markers. 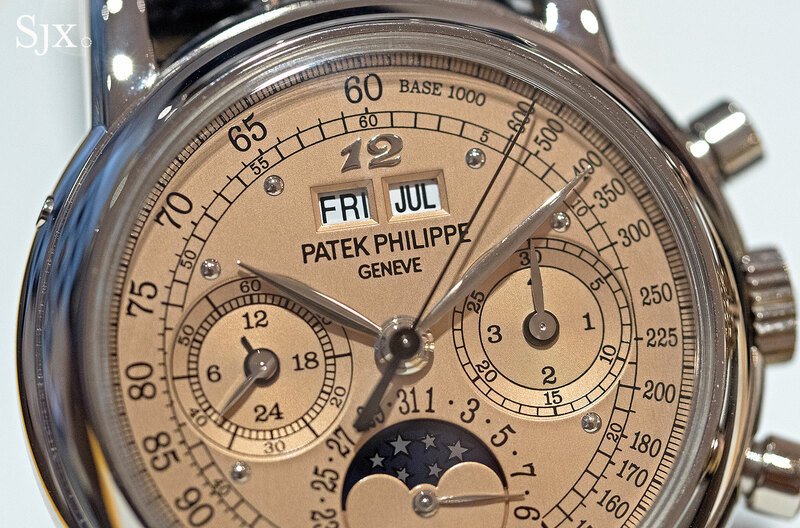 The line-up includes the rose gold counterpart of the platinum 5004 sold earlier this year, as well as a pair of ref. 3970s. 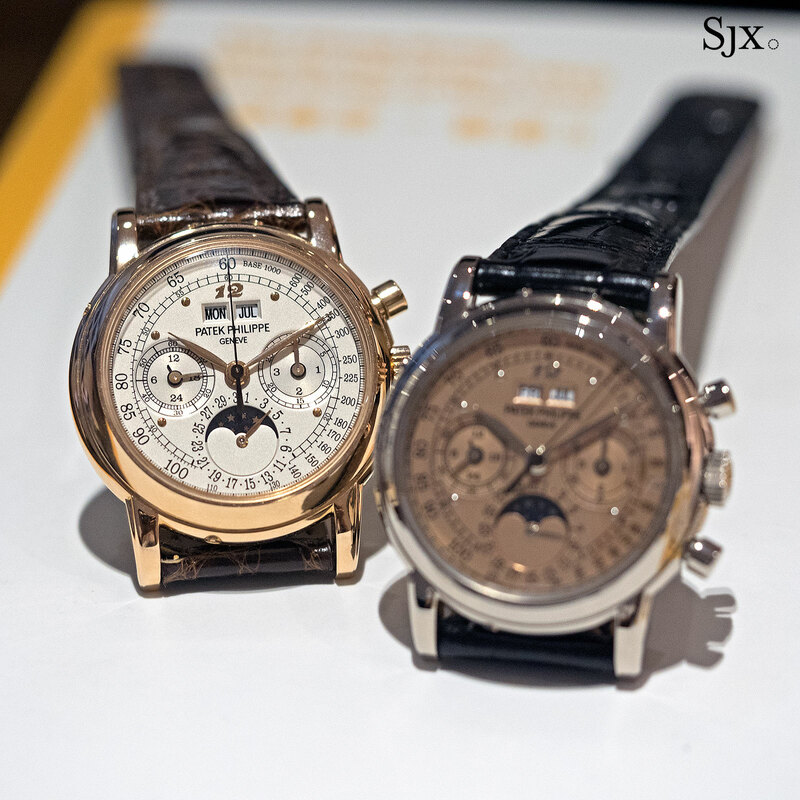 All are accompanied by certificates from Patek Philippe’s Geneva boutique, each bearing the name “Monsieur Eric Clapton”, attesting to provenance. 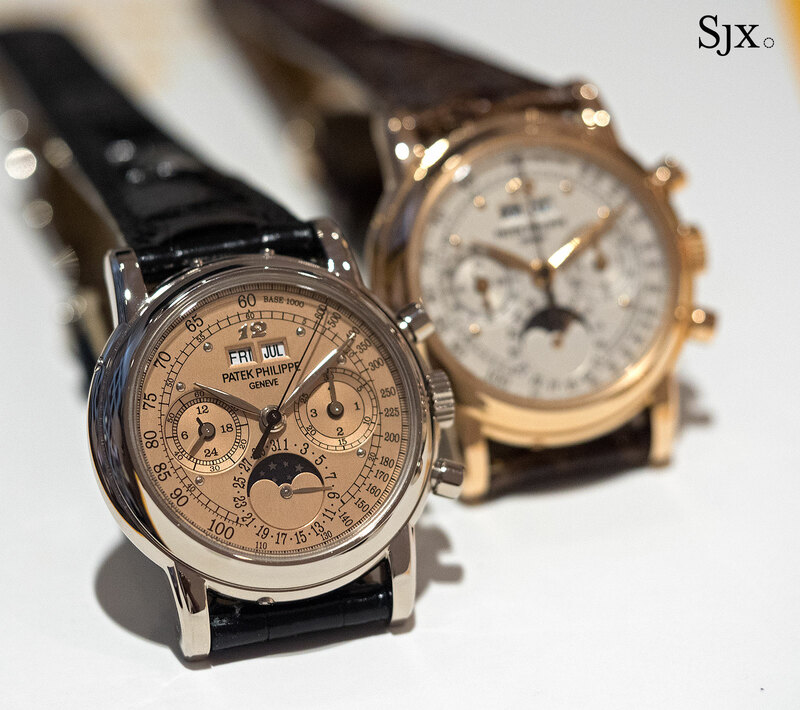 Purchased by Clapton at the same time on June 10, 2008, the matched perpetual calendar chronographs comprise the ref. 3970G in white gold and ref. 3970R in rose gold. Both are identical to the stock 3970 in terms of the 36mm case and Lemania-based CH 27 movement, with the crucial difference being the unusual dials. Nonetheless both carry the same estimate of HK$1.4m to HK$3.2m, or US$180,000 to US$400,000. The ref. 3970G is lot 1009, while the ref. 3970R is lot 1010. Clapton’s ref. 5004R has exactly the same dial design as the refs. 3970, with an italic “12” and round markers for the rest of the hours. But unlike the two preceding watches, the ref. 5004R was purchased later, on January 27, 2011. 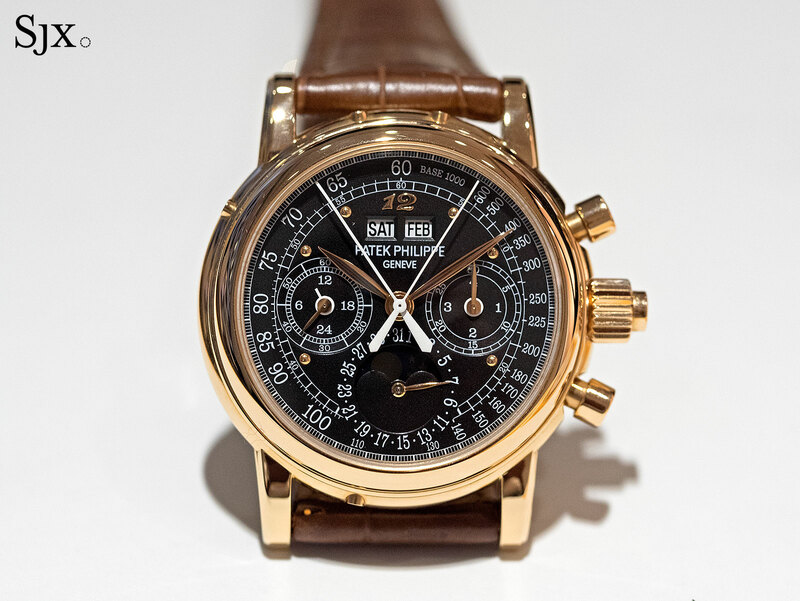 A split-seconds chronograph with perpetual calendar, the ref. 5004 is almost identical to the ref. 3970. 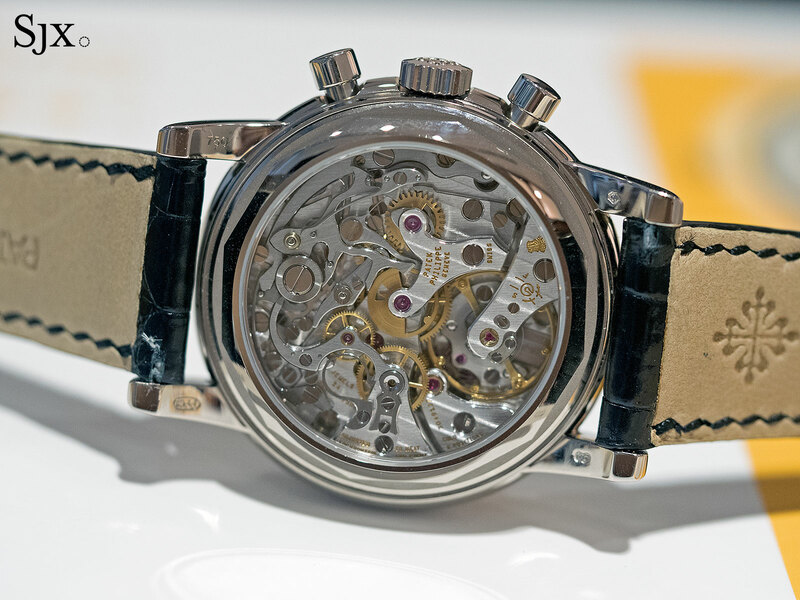 The case is also 36mm but is significantly thicker to accommodate the split-seconds mechanism. The ref. 5004R is lot 1011 with an estimate of HK$2.4m to HK$4.8m, or US$300,000 to US$600,000. With the matched ref. 5004P selling for over US$800,000 at the last sale, this should be similarly sought after. 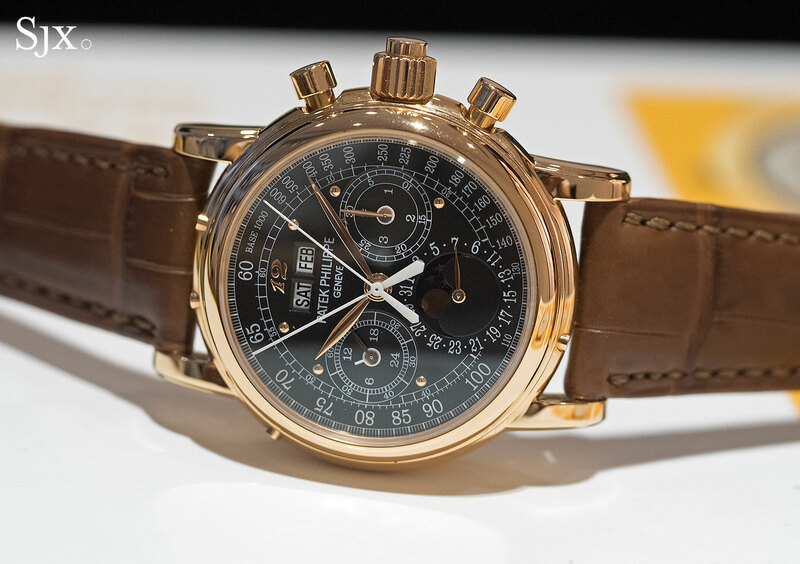 The Hong Kong Watch Auction: Three takes place on November 29, 2016, at the Mandarin Oriental Hong Kong. The public preview of the auction starts on November 24 and ends on the day before the sale. Additionally, highlights from the sale will tour Asia in the weeks leading up to the sale. The full catalogue is available here.